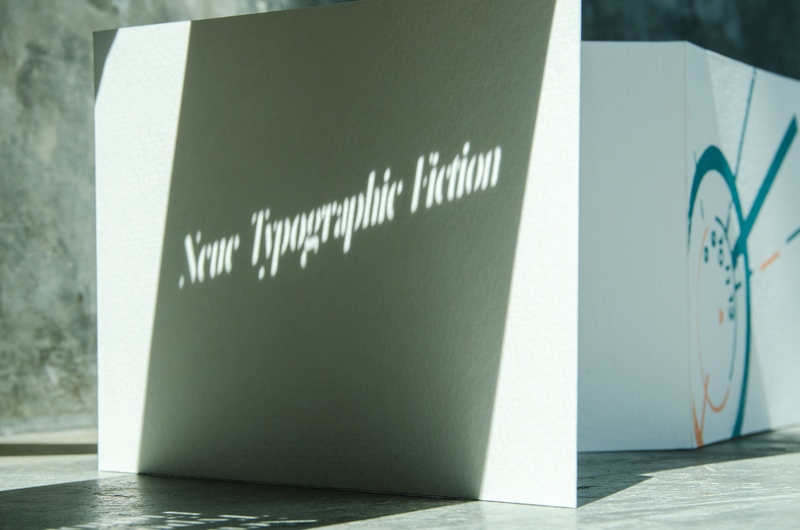 In collaboration with three other designers, we were asked to make a multitude of thumbnail sized images using dry transfer lettering. 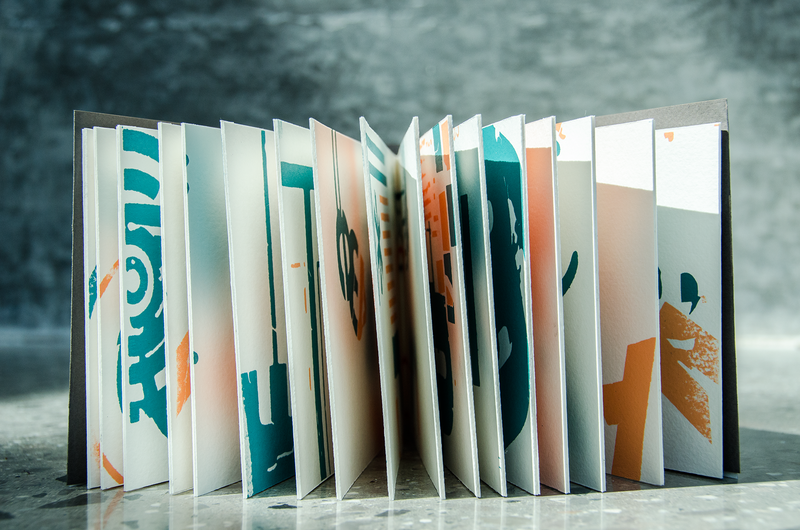 After choosing a handful of our favorite compositions we increased the scale of the thumbnails to 5” X 7.375” and made 16 cohesive spreads. 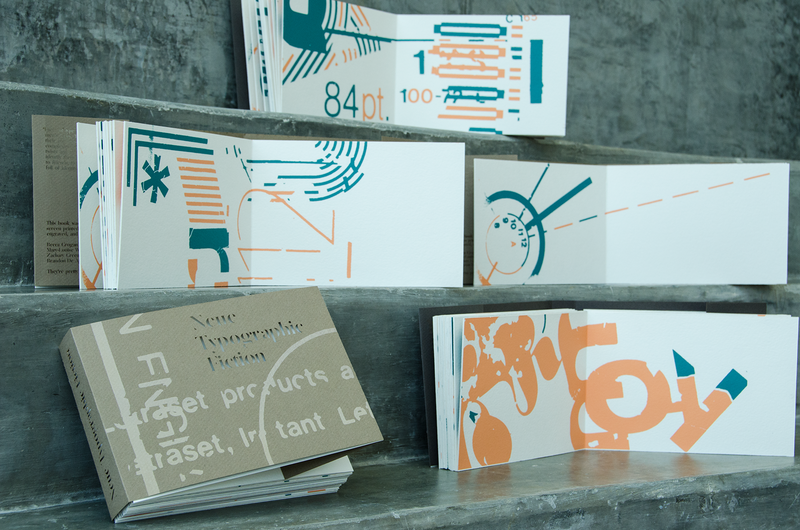 These spreads lent way to five short chapters of visually similar and suggestive images expressing how type can be used for purposes other than the assimilation of knowledge through reading. 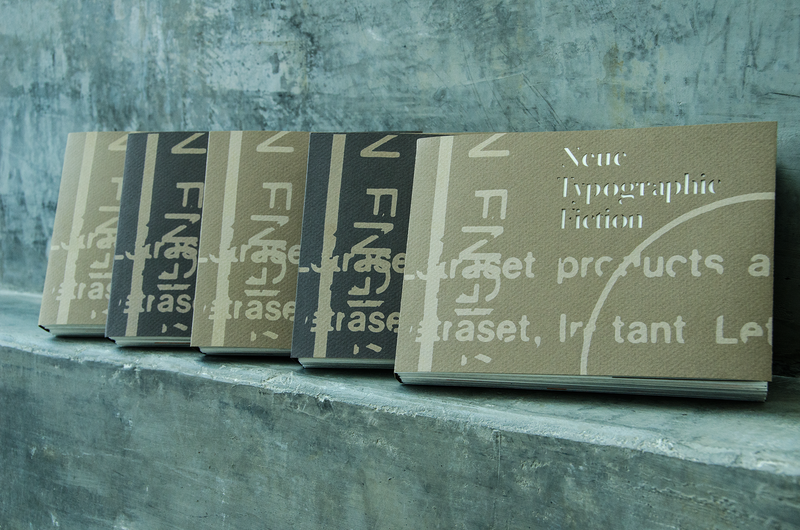 These 16 spreads are a typographic fiction that the viewer is allowed to create using their own imagination and thought. 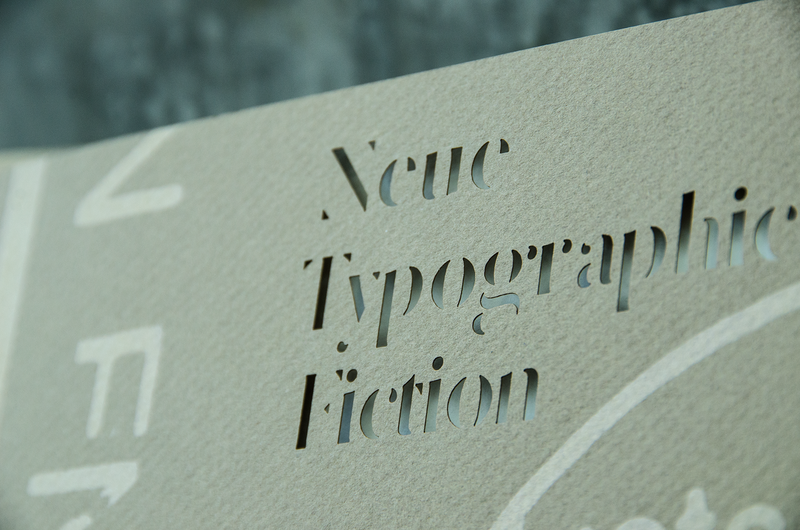 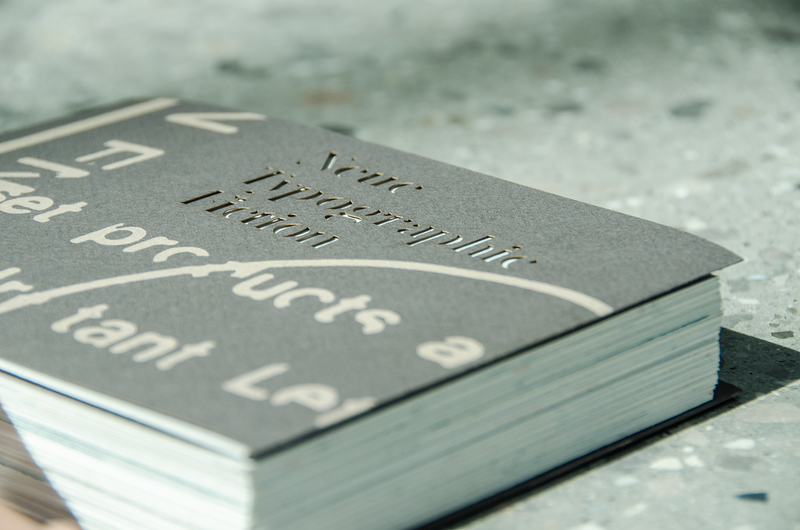 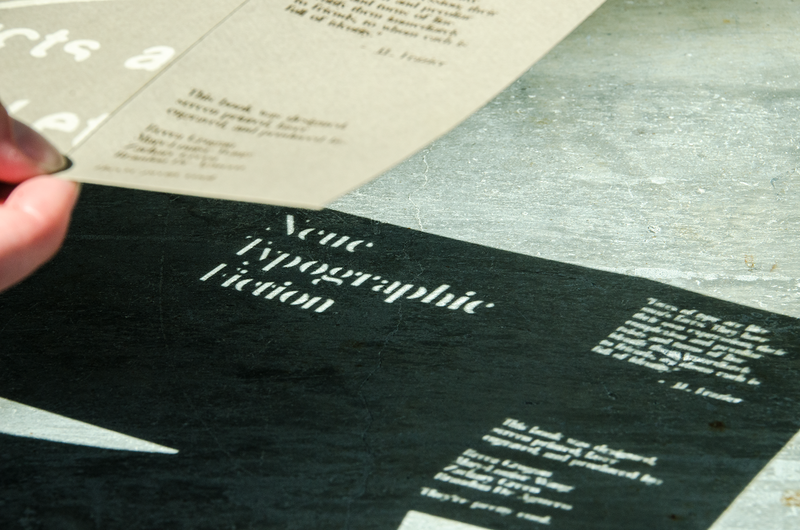 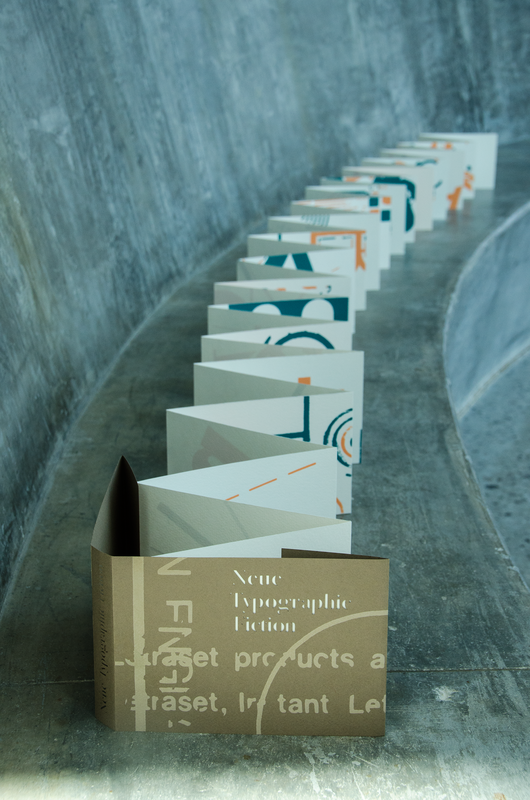 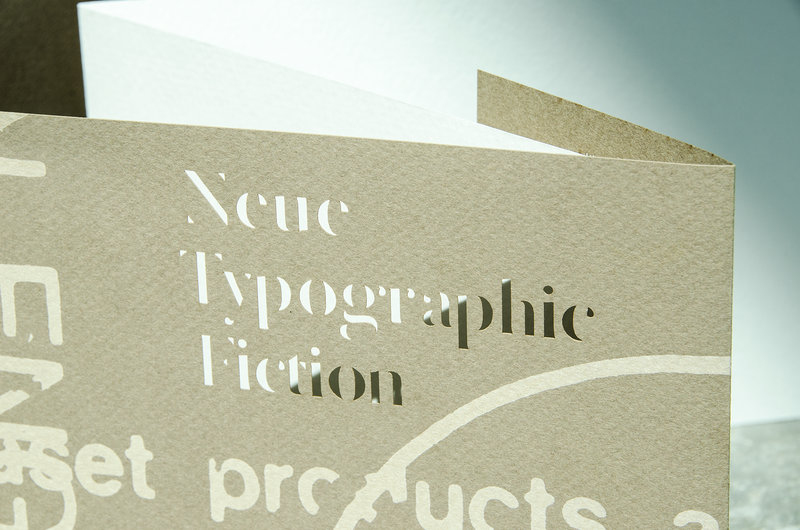 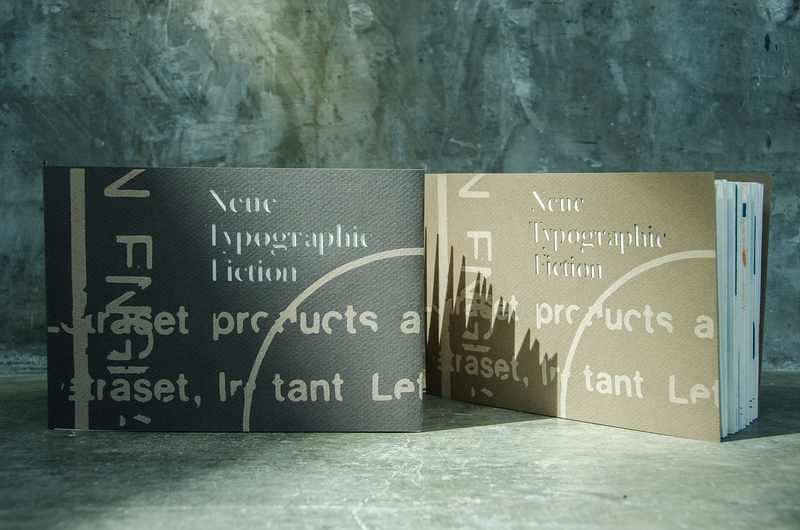 Our final outcome was a two-color entirely screen printed book with a laser cut and etched cover.